The Best use of Facebook for B2B Marketers is not the same as a personal facebook page. Many B2B marketers approach Facebook and all social media with the knowledge of how to maintain a personal profile. But getting results from a business Page for their B2B company is often a lot more difficult. 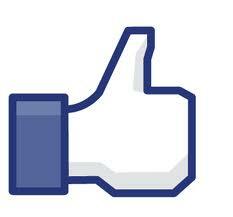 There are two basic things you need to know about managing a Facebook Page for a B2B company. 1) You must post compelling content that your audience (people who like the Page) will engage with. Facebook only shows popular content in the newsfeed. 2) The second thing to know is that you need to include calls to action, both on the Page and on any tabs to either get traffic on your company website or get them to take immediate action. Of course, the list of ‘how to’ is endless and depends on the goals, the industry and the business itself. It is much more difficult to see the results of social media efforts for B2B over B2C but the statistics support the benefits of implementing these methods. Safety online is so important and something that grandparents are concerned about. There are so very many phisihng scams, bullys, identity thiefs etc that it is hard to know what is legitimate and what is not and how much freedom should our kids have online. Finally, this is a great video about some of the ‘kid friendly’ social sites that your kids or grandkids may be visiting. Does Your Facebook Profile Embarrass your Grandchild? Do you have a Facebook page? Well, of course you do! Does your grandchild? Are you allowed to be friends with them? First they have to be over 13 to have an account on Facebook officially, then it would be nice if your grandchild wants to be friends but if not, don’t push it – remember, in their eyes we are still more like parents and Facebook is for friends. 7) Do find humor and joy in every day and share it! Embrace new technology. Instead of seeing new gadgets and technologies as a burden refusing to learn how to send a text message, or post on facebook, or twitter, run toward it and learn more about why people love it. Take a class at the local Apple store or ask your grandchildren to teach you about how to maximize your smartphone usage.